MRC Studentship Scheme Information and Flier Here. 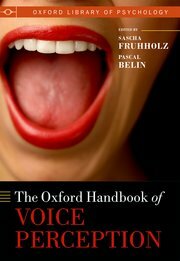 OUT NOW: Catherine Perrodin & Chris Petkov have a chapter in the Oxford Handbook on Voice Perception (see here and below for a summary). OUT NOW: Language Evolution special issue in Current Opinion in Behavioral Sciences. Read the Editorial Overview. 31 contributions from world leading authorities and upcoming bright stars on language evolution rooted in core principles on neural systems and cognition aim to provide thought provoking perspectives and new insights on the evolution of cognition and language. Articles can be found here. 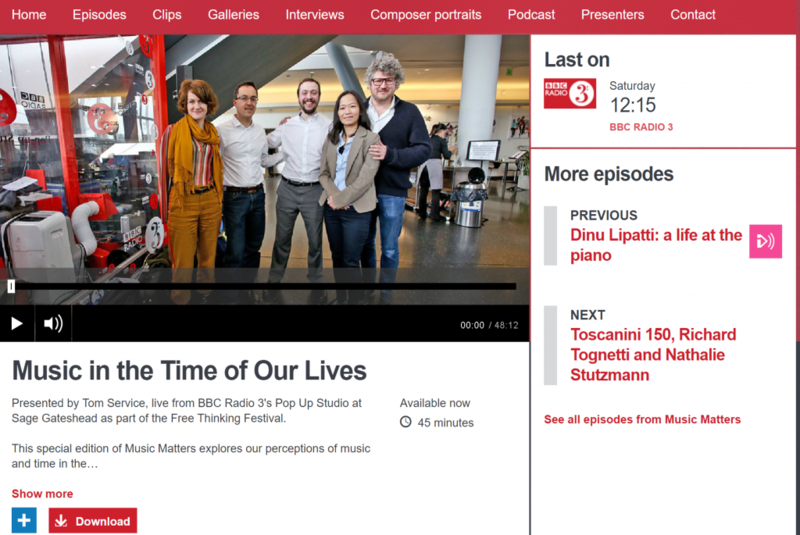 BBC Radio 3 Public Engagement Activity at Sage (2017): Hear the live BBC Radio 3 broadcast with Tom Service and hear the outcome of our music and time perception experiment: How does music warp people’s perception of time? Wikman P, Rinne T & Petkov CI (in press) Reward cues readily direct monkeys’ auditory performance resulting in broad auditory cortex modulation and interaction with sites along cholinergic and dopaminergic pathways. Nature Scientific Reports. Humans can be readily instructed to conduct complex cognitive tasks, while it takes months if not years to train animals on such tasks, and some tasks only species more closely evolutionarily related to us are capable of conducting. Performance on auditory tasks is notoriously difficult to train animals on, in part, because sounds are fleeting. Building on recent advances, we developed an Incentivized Attention Paradigm (IAP) that monkeys readily learned and was useful in directing their auditory performance within a few hundred trials. Brain imaging during task performance revealed the broad auditory cortex modulation now expected of attention effects in human neuroimaging studies. We also show that the auditory cortex effect comes about from interactions with sites along both cholinergic and dopaminergic pathways, showing how both reward and attention/arousal systems are involved in influencing auditory cortex. *Patrick Wikman was a visiting PhD student in the lab from Helsinki University, and Teemu Rinne is a longtime collaborator from Finland. They are two outstanding Finnish scientists and C. Petkov is honored to have had the opportunity to work with them. Catherine Perrodin, Chris’ first PhD student and he summarize the insights obtained from primates as a neurobiological model for voice perception. The book also highlights the importance of voice perception for our ability to communicate with each other and how voice responses in the brain are affected by disorders such as autism. Check it out! Mitchell AS, Thiele A, Petkov CI, Roberts A, Robbins TW, Schultz W & Lemon R (2018) Continued need for non-human primate neuroscience research. Current Biology, 28, R1186-87. Schneider F, Dheerendra P, Balezeau F, Ortiz-Rios M, Kikuchi Y, Petkov CI, Thiele A & Griffiths TD (2018) Auditory figure-ground analysis in rostral parabelt of the macaque monkey. Nature Scientific Reports, 8, Article number: 17948. Many people with hearing problems have difficulties perceiving speech in noisy situations. Cochlear implants and other hearing device development has benefited humans in part because of work with nonhuman animals. However, understanding what would be equivalent to a ‘speech in noise’ situation for a nonhuman animal is far from trivial. Here Felix Schneider (a PhD student with consultant neurologist Tim Griffiths) used a novel figure from ground sound, showed that macaque monkeys perceive it as do humans (which Tim’s group separately shows is related to speech in noise perception in human participants) and show which brain areas are crucially involved in perceiving the figure from the noisy background. The results are important for understanding the neuronal mechanisms and how they might fail in hearing disorders. Wilson B & Petkov CI (2018) From evolutionarily conserved frontal regions for sequence processing to human innovations for syntax. (Ed. Michael Arbib, special issue) Interaction Studies, 19(1-2): 318-335. This is a paper that came about after Ben Wilson was invited to present on his work at a meeting organized by Prof. Michael Arbib in San Diego, CA. Michael was intrigued by how the structured sequence learning paradigm and the comparative behavioral and neuroimaging insights in nonhuman primates and humans points to innovations for syntax. Ben and Chris consider the question based on the latest evidence from the literature including how learning the structure of our environment relates to and differs from another prominent idea on the evolution of language: the mirror neuron system, whereby neurons respond similarly to perceived and self-generated actions. First primate MRI data sharing initiative, to complement similar data sharing initiatives on child and adult human MRI. Tremendous effort and contributions from Newcastle as well as many international sites. Petkov CI & Marslen-Wilson W (2018) The evolution of language as a neurobiological system. 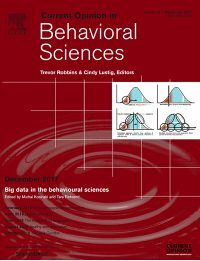 Current Opinion in Behavioral Sciences: Special Issue Editorial Overview. Thirty one contributions from world leading authorities and upcoming bright stars on language evolution rooted in core principles on neural systems and cognition. The thought provoking perspectives provide insights on the evolution of human cognition and language. Articles can be found here. This paper synthesizes recent scientific findings to better understand how the human language system specialized and why and how it relies on evolutionarily conserved neural systems. We observe that the neural system supporting language is integrated within an ancestral system, with both systems overlapping to some extent whenever the brain needs to establish relationships (build mental structures) between events separated in time. We do this all the time when we comprehend which words relate to which other ones in a sentence, and we also do this when we realize that certain environmental events predict what will occur in the future. This article shows that the neuroimaging signal that is commonly used to study human brain function is related to intriguing and somewhat unexpected neural responses in the brain. This work is based on our collaboration with neursurgery groups at the University of Iowa. Cope TE, Wilson B, Robson H, Drinkall R, Dean L, Grube M, Jones PS, Patterson K, Griffiths TD, Rowe JB & Petkov CI. (2017) Artificial grammar learning in vascular and progressive non-fluent aphasias. Neuropsychologia, 104, 201-213. This original paper shows that patients with two types of pathology affecting their language abilities are also affected in structuring their sensory world. This paper resulted form a collaboration with our neurology colleagues in Newcastle, Cambridge and Reading Universities. The auditory cognitive abilities of monkeys have been suggested to differ from those in humans. This work shows that human and monkey behavior is remarkably similar for auditory or visual sequences generated by an artificial grammar initially designed to test preverbal infants. There were quantitative differences between the species which are informative but the results across the sensory modalities suggest that the sensory systems use very similar mechanisms to evaluate the structure of sounds or pictures. Important comparison of intracranial recordings in humans and monkeys showing that neural rhythms (oscillations) processing speech sounds and structured sequences are remarkably similar in human and monkey auditory cortex. This points to speech segmentation in auditory cortex using evolutionarily conserved neural mechanisms. The paper also shows the importance of the work in monkeys by directly linking the effects seen in humans to a more complete understanding of relationships between brain rhythms and oscillations and populations of single neurons. These insights and analysis of the neuronal responses to the learned sequences identify different neural populations that were and can be missed with brain functional imaging techniques. This paper is also based on our collaboration with neurosurgery clinical groups at the University of Iowa, USA. This original paper shows that what initially might seem as species differences in how auditory attention influences the brain may in fact be lapses in attention that play havoc with the functional imaging paper. This challenging but important project was only possible in collaboration with scientists in Finland who conducted the comparative human neuroimaging experiments and were involved in the comparative work in Newcastle. This original paper uses functional imaging to identify motion specific mechanisms in the primate brain. Typically such information can only be gleaned with neuronal recording studies but the paper shows the power of functional imaging, which, although requiring validation at a fundamental neural level, generates important insights in the specific brain areas involved in this case the perception of movement in our environment. Hiroyuki O, Howard MA, Magnotta VA, Kruger A, Griffiths TD, Lemieux L, Carmichael DW, Petkov CI, Kawasaki H, Kovach CK, Sutterer MJ, Adolphs R (2017) Mapping effective connectivity in the human brain with concurrent intracranial electrical stimulation and BOLD-fMRI. Journal of Neuroscience Methods, 277: 101-112. Crucial development and safety testing of a novel approach for mapping directed neural connectivity in the human brain. This development was made possible by the prior work in nonhuman animals, which can now be conducted in humans as this paper shows and is relevant for understanding the impact of deep brain stimulation that is prominently in use to treat patients suffering from movement or other disorders. This paper is based on our collaboration with the neursurgery group at the University of Iowa, USA. Wilson B, Marslen-Wilson W & Petkov CI (2017) Conserved sequence processing in primate frontal cortex. Trends in Neurosciences 40(2): 72-82. This paper synthesizes behavioral and neuroimaging data in human and nonhuman animals pointing to subregions of the frontal cortex that have corresponding functions. These regions are adjacent to ones that are crucial for language. A heuristic model is proposed of how and which language operations may be emulated by ‘structured sequence learning’ tasks and subserved by corresponding neural systems. Our group is pursuing evolutionary relationships in brain function. We are guided by the notion that information on how the human brain changed during its evolutionary history will be indispensable for advancing treatments for cognitive and communication disorders. This includes addressing forms of aphasia, agnosia and language disorders. As you can see, we work with typical individuals and patients whenever the scientific questions can be answered in humans. We also collaborate with neurosurgery groups working with patients being treated for brain disorders. However, whenever necessary and the scientific questions cannot be addressed in humans alone, we also work to understand how the brain works, why neural systems falter and what we might be able to do to improve learning and brain plasticity to compensate for impairments in nonhuman animals. For instance, we conduct comparative studies to test for and establish direct relationships to the work in humans, making the animal research as relevant for human medical science as is possible. Our laboratory follows the highest ethical standards for all of our human and nonhuman animal work and all of the work is stricly regulated by local, national and international regulatory bodies. Furthemore, our laboratory is firmly rooted in the principle that scientific discovery can and should co-occur with advances in welfare (human or nonhuman). To this aim we actively contribute towards advancing the 3Rs principles. For further information see Newcastle University’s statement and information on animal research: here.